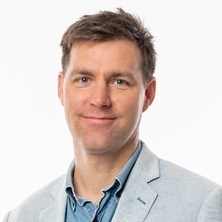 Associate Professor James Vaughan is head of the Hydrometallurgy Research Group at the University of Queensland within the School of Chemical Engineering. He obtained a Bachelor’s degree in Metallurgical Engineering at McGill University followed by Master of Applied Science and PhD degrees in Materials Engineering at The University of British Columbia. Before joining UQ James gained experience as a research engineer in industry working for Placer Dome and BHP. While at UQ James has served as Director of the University of Queensland Rio Tinto Bauxite & Alumina Technology Centre and is currently Academic Director of Safety for the School and Technical Advisor for Pure Battery Technologies. James' research focuses on the fundamental aspects of leaching, ion exchange and precipitation reactions as well as membrane separations. These projects are of interest to the base metals, precious metals and alumina refining industries. Agromining: farming for metals in the future? Peng, H., Vaughan, J., Staker, W., Wang, J. and Wen, W. (2018). Advanced characterisation of bauxite residue. In: Alumina2018 the 11th AQW International Conference. Alumina2018, Gladstone, QLD, Australia, (189-195). 9-14 September 2018. Zappala, Lauren, Balucan, Reydick, Vaughan, James and Steel, Karen (2018). An acid recovery and mineral carbonation process forthe nickel industry. In: 6th International Conference on Accelerated Carbonation for Environmental and Material Engineering, ACEME 2018. 6th International Conference on Accelerated Carbonation for Environmental and Material Engineering, ACEME 2018, Newcastle, NSW, (96-103). March 11, 2018-March 14, 2018. Seneviratne, D.N., Peng, H., Gillespie, A.R. and Vaughan, J. (2018). An investigation of Bayer desilication product agglomeration mechanisms by kernel function population balance modelling. In: Alumina2018 the 11th AQW International Conference. Alumina2018, Gladstone, QLD, Australia, (241-247). 9-14 September 2018. Vogrin, J., Vaughan, J., Peng, H. and Santini, T. (2018). Characterisation and steps toward structure solution of synthetic anion-substituted desilication products. In: Alumina2018 the 11th AQW International Conference. Alumina2018, Gladstone, QLD, Australia, (233-240). 9-14 September 2018. Salimi, Reza, Tan, Sue Ying and Vaughan, James (2018). Filtration efficiency of tricalcium aluminate filter aid synthesized with batch and continuous stirred reactors. In: Travaux No. 47. 36th International ICSOBA Conference - Bauxite, Alumina and Aluminium Industry in Brazil and New Global Developments, Belem, Brazil, (309-317). 29 October-1 November 2018. Hodge, Harrison, Tam, Priti, Vaughan, James and Panias, Dimitris (2017). Bauxite residue sinter phase transformations. In: Proceedings of the 5th International Slag Valorisation Symposium. International Slag Valorisation Symposium, Leuven, Belgium, (87-90). 3-5 April 2017. Seneviratne, Dilini, Peng, Hong and Vaughan, James (2017). The impact of organic additives on phase transformation and particle size of Bayer process desilication product. In: Travaux 46, Proceedings of the 35th ICSOBA Conference. 35th ICSOBA Conference, Hamburg, Germany, (229-241). 2-5 October 2017. Staun, Chris, Vaughan, James and Morrison, Helen (2016). Stabilisation of mercury during Bayer process digestion. In: IMPC 2016: XXVIII International Mineral Processing Congress Proceedings. International Mineral Processing Congress, Quebec City, Quebec, Canada, (). 11-15 September 2016. Patel, M., Vaughan, J. and Clarke, W. (2016). Using municipal solid waste for biogenic hydrogen sulphide production. In: Chemeca 2016: Chemical Engineering - Regeneration, Recovery and Reinvention. Chemeca Conference, Adelaide, Australia, (3384338.1-3384338.12). 25-28 September 2016. Peng, H., Vaughan, J. and Zieba, M. (2015). The thermodynamic approach to predicting silicate solubility. In: 10th International Alumina Quality Workshop Conference Proceedings. 10th International Alumina Quality Workshop, Perth, WA, Australia, (). 19-23 April 2015. Salimi, Reza and Vaughan, James (2014). Batch tricalcium aluminate crystallisation and particle morphology. In: E. Asselin, D. G. Dixon, F. M. Doyle, D. B. Dreisinger, M. I. Jeffrey and M. S. Moats, Proceedings of the 7th International Symposium on Hydrometallurgy (Hydro2014). Hydrometallurgy 2014: 7th International Symposium, Victoria, BC, Canada, (695-701). 22-25 June, 2014. Bansal, Neetu, Vaughan, James, Tam Wai Yin, Pritii, Leong, Tony and Boullemant, Amiel (2014). Chemical thermodynamics of mercury in the Bayer process. In: E. Asselin, D. G. Dixon, F. M. Doyle, D. B. Dreisinger, M. I. Jeffrey and M. S. Moats, Proceedings of the 7th International Symposium on Hydrometallurgy (Hydro2014). Hydrometallurgy 2014: 7th International Symposium, Victoria, BC, Canada, (559-569). 22-25 June, 2014. Lakemond, S., Ku, L. I. and Vaughan, J. (2013). Effect of carbon type on adsorption of Cu, Zn, Ag and Au from mixed cyanide solution. In: Leon Lorenzen, World Gold 2013 Conference: Challenges in Gold Mining. Proceedings. 5th World Gold 2013 Conference, Brisbane, QLD, Australia, (411-417). 26-29 September, 2013. Bansal, Neetu, Vaughan, J., Boullemant, Amiel and Leong, Tony (2013). The determination of trace mercury in environmental samples: a review. In: Chemeca 2013: Challenging tomorrow. Chemeca 2013: Challenging tomorrow, Brisbane, QLD, Australia, (1-6). 29 September–2 October, 2013. Littlejohn, Patrick, Vaughan, James and Nikoloski, Aleks (2012). Elution strategies for recovery of nickel and cobalt from laterite tails through scavenging resin-in-pulp. In: 2012 Nickel-Cobalt-Copper Proceedings at ALT2012. ALTA 2012, Perth, Australia, (178-190). 26-29 May 2012. Littlejohn, P. and Vaughan, J. (2012). Resin-in-pulp for metalliferous mine drainage remediation. In: C. Q. Jia, M. Sudbury, J. Zinck, V. Ramachandran and E. A. Morris, Proceedings of COM2012: Water, Air and Land: Sustainability Issues in Mineral and Metal Extraction (WALSIM II). 51st Annual Conference of Metallurgists (COM 2012), Niagra, ON, Canada, (151-163). 30 September - 3 October 2012. Littlejohn, P. and Vaughan, J. (2010). Selective ammoniacal elution of nickel and cobalt from iminodiacetate cation exchange resin. In: Alan Taylor, Proceedings of the ALTA 2010 Nickel-Cobalt-Copper, Uranium and Gold Conference. ALTA 2010 Nickel-Cobalt-Copper, Uranium and Gold Conference, Perth, W.A., Australia, (1-14). 24-29 May 2010. Vaughan, James and Dreisinger, David (2008). Potentiodynamic Polarization of Platinum and Aluminum in AlCl3-[P14,6,6,6]Cl Melts. In: ECS Transactions. 214th ECS Meeting, Honolulu, HI, USA, (397-409). 12 - 17 October, 2008. Wassink, Berend, Lu, J., Vaughan, James, Dreisinger, David and West-Sells, Paul (2008). The Treatment of the Carmack’s Copper-Gold Ore by Acid Leaching and Cyanide Leaching with SART Recovery of Copper and Cyanide from Barren Cyanide Solution. In: Courtney A. Young, Hydrometallurgy 2008: Proceedings of the Sixth International Symposium. Hydrometallurgy 2008 - 6th International Symposium - Honoring Robert Shoemaker, Phoenix, Arizona, (740-749). 17-20 August 2008. Vaughan, James, Tu, Jack and Dreisinger, David (2006). Ionic liquid electro-deposition of reactive metals. In: F. Kongoli and R.G. Reddy, Advanced Processing of Metals and Materials. Sohn International Symposium on Advanced Processing of Metals and Materials, San Diego, California, (469-477). 27-31 August 2006. Vaughan, James, Tu, Jack and Dreisinger, David (2006). Ionic liquid electro-deposition of reactive metals. In: Kongoli, F and Reddy, RG, Sohn International Symposium on Advanced Processing of Metals and Materials, San Diego Ca, (469-477). Aug 27-31, 2006. Vaughan, J. and Alfantazi, A. (2004). The thermodynamics of titanium corrosion in acidic systems. In: Pressure Hydrometallurgy 2004. Pressure Hydrometallurgy 2004: 34th Annual Hydrometallurgy Meeting, Banff, Alberta, Canada, (593-601). 23-27 October 2004. Vaughan, J., Reid, P., Alfantazi, A., Dreisinger, D., Tromans, D. and Elboujdaini, M. (2003). Corrosion of titanium and Ti-alloys at high temperatures and pressures. In: J. Luo, M. Elboujdaini, D. Shoesmith and P.C. Patnaik, Environmental degradation of materials and corrosion control in metals: Proceedings of the International Symposium on Environmental Degradation of Materials and Corrosion Control in Metals. International Symposium on Environmental Degradation of Materials and Corrosion Control in Metals, Vancouver, British Columbia, Canada, (). 24 - 27 August 2003. Littlejohn, Patrick and Vaughan, James (2012). Resin scavenging of nickel and cobalt. Australian Provisional Patent Application # 2012904011. Vaughan, James (2011). Method of recovering a metal. WO/2011/156861. Desilication product characterisation and chemical thermodynamic solubility model. A novel low-energy process route for primary copper production utilising synergistic hydro- and pyrometallurgical processes.